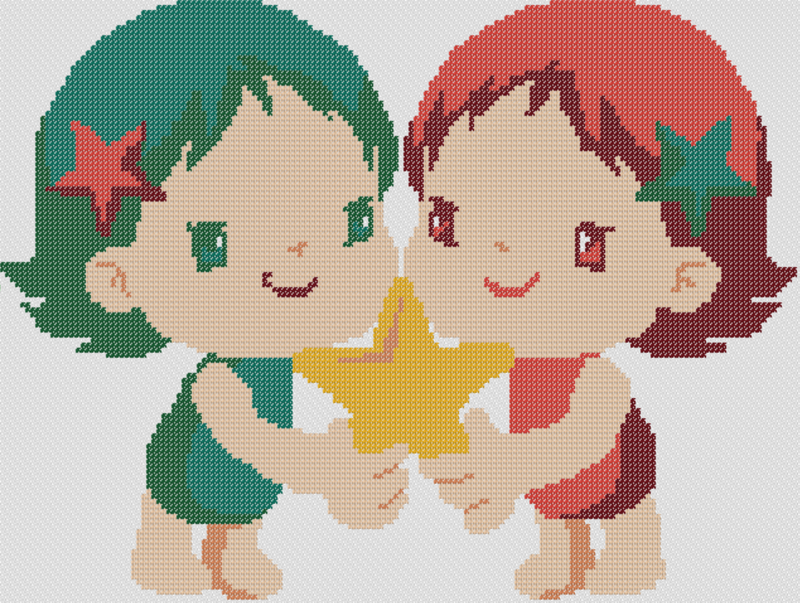 Download Baby Gemini Cross Stitch Pattern zipped file (approx. 192kb — downloaded 209 times). The password for this download is “crossstitch4free” without the quotation marks. Please DISABLE your pop-up blocker in order to access this. Most of our free cross stitch patterns are suitable for afghans, bed sheets, posters, pillow cases and many more. You can also combine these cross stitch patterns with our font cross stitch collection to personalize your cross stitch project even more. We look forward to your feedback and suggestion on how we can improve our cross stich patterns collection. Do send us a note using our Contact Form if you are looking for a specific stitching design. You can also opt to be informed immediately via e-mail or RSS if you choose to. Just register your e-mail in our Subscription form in our main page, or click on the footer link to subscribe via your feed reader.